Diamonds are a girls best friend! 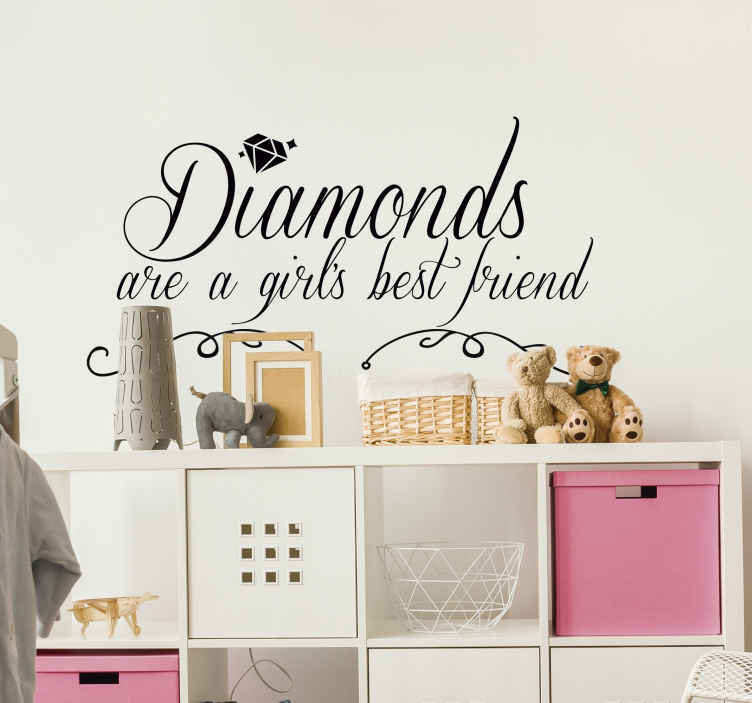 An internationally ubiquitous quote adorns this superb wall text sticker - Whether you love one of the many songs, or just the quote, this wall art sticker might just be perfect for you! Diamonds really are a girls best friend, but stickers can be too!